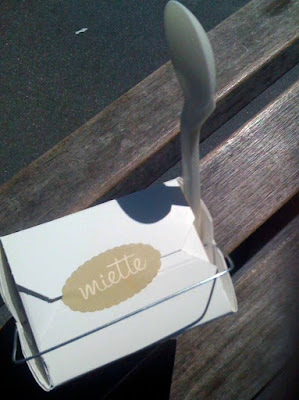 I had read a lot about Miette on blogs, in magazines, and on their website. 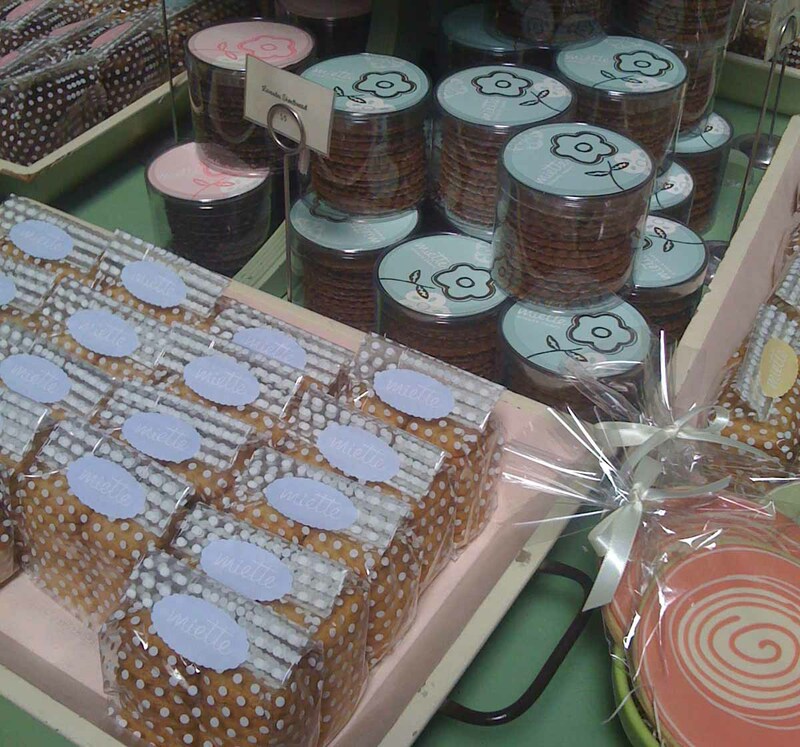 Every time I looked at the photos of all those delicious confections, my mouth would begin to water. I had to wonder if those treats tasted as delightful in life, as I imagined them to. 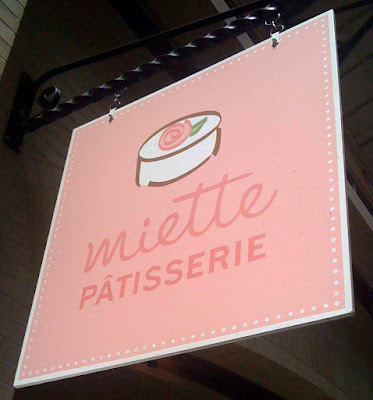 I finally had the chance to visit the Miette location at the Ferry Building in San Francisco, CA. In my mind, I had imagined that there would be a quaint little store waiting for me. I wasn't prepared for the jostling and jabs I would have to overcome to get my body into their small kiosk and up to the counter. As I un-patiently waited my turn, I was having a hard time deciding what to order. When the lady finally got to me, I decided- Screw it!- and ordered two desserts. I got a Pot de Creme and an Old Fashioned Cupcake. Both were delicious and a total treat! 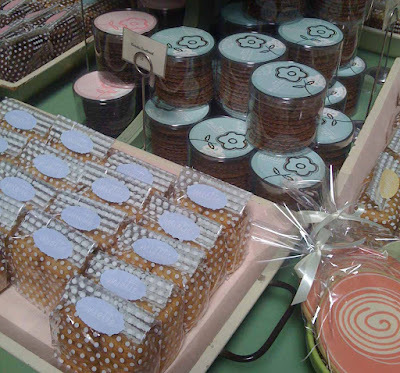 Some of their cookies and confections. Here is a bad photo of the display case. 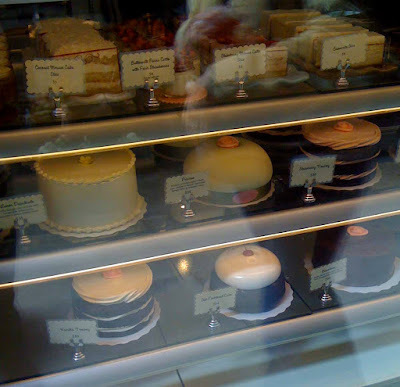 The beauty of the cakes still shines through.